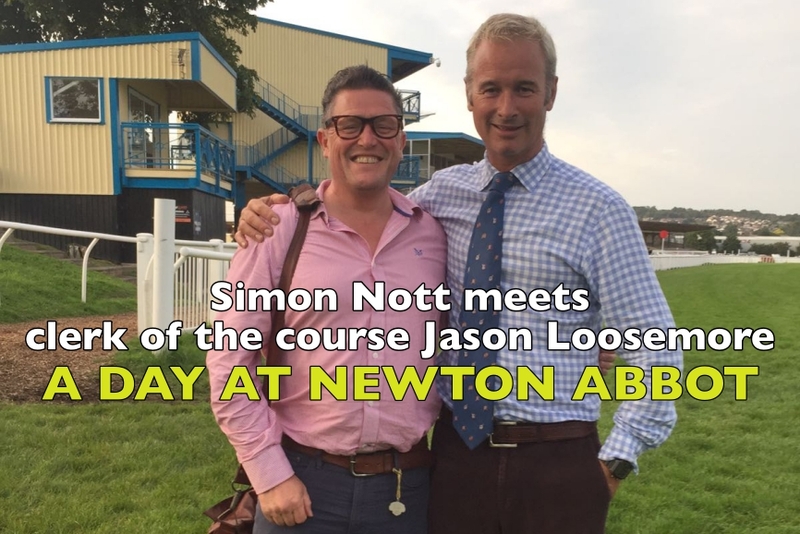 DAY AT NEWTON ABBOT RACES: Simon Nott spends a race Day with Newton Abbot’s Clerk of the Course Jason Loosemore. Newton Abbot is proudly independent. Just listening to the passion of Managing Director Patrick Masterson and Clerk Of The Course Jason Loosemore when they talk about the southerly-most racecourse in the UK, it’s not hard to see why Newton Abbot is well-supported by owners, trainers and racegoers alike. Both men take as personal insult the use of the term ‘gaff track’ used by some in the media for anywhere that’s not Cheltenham or Royal Ascot, and rightly so. While there are no illusions as to the limitations of regional courses there’s also no reason for them not to strive to improve year on year and that’s exactly what they do. The racecourse offered just over £1,000,000 for their 18 fixtures in 2017 offering a minimum of £6,000 for all class 5 hurdles, £6,500 for all class 5 chases, £7,000 for all class 4 hurdles and £7,500 for all class 4 chases which is top of the tree for those grades. I joined Jason at 5.45am at the start (though he’d obviously arrived some time before me) of a typical racing day. Without further ado, here’s the day in the life of Clerk Of The Course Jason Loosemore. It was an absolute pleasure to have been given the opportunity to shadow Jason and his workforce for the day. I was welcomed by everyone and made to feel part of the team, even given a friendly rollicking for not cleaning my coffee cup after me, and quite right too. What I’m hoping you get from the video is the hard work and long hours that go into keeping racecourses in tip-top condition. The concern for the horses is paramount, if you’ve heard about owners getting the jitters when their pride and joy runs just feel for Jason Loosemore, he feels it multiplied by the field size for each and every race. It’s not over when it’s over, with rain forecast the guys were asked to work on after racing to return the racecourse proper to its immaculate state, which they willingly did. When senior groundsman Stu was asked if he’d mind cutting the grass that night rather than in the morning as planned there was no question, he was off to get the tractor. 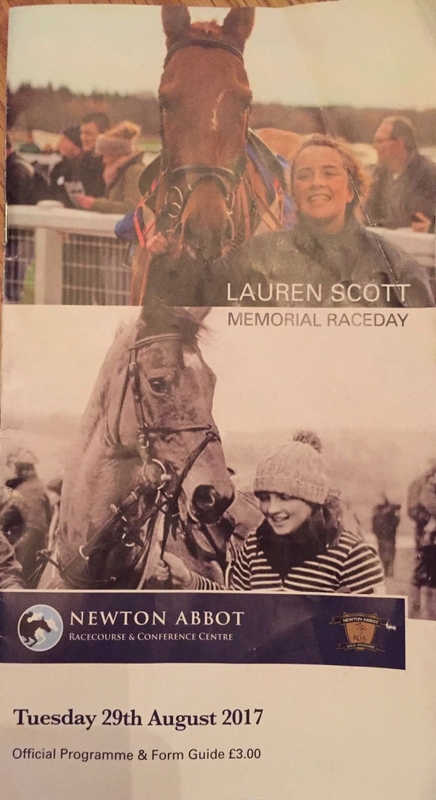 It would have been dark by the time he’d finished but no grumbles, after all there’s another race meeting to get ready for on Saturday…..
Patrick Masterson, Jason Loosemore and all at Newton Abbot racecourse.